On 8 October 1940, at 8.50am, German bombers dropped high explosive bombs on Charing Cross Station, killing eight and injuring 40 others. 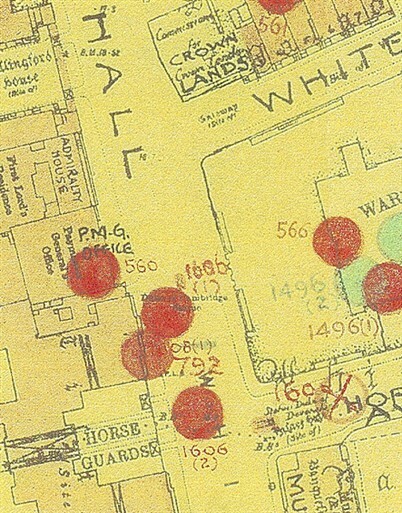 Due south, on Whitehall, the Paymaster General’s Office, the War Office and The Ministry of Agriculture and Fisheries (5 Whitehall Place) were also hit. 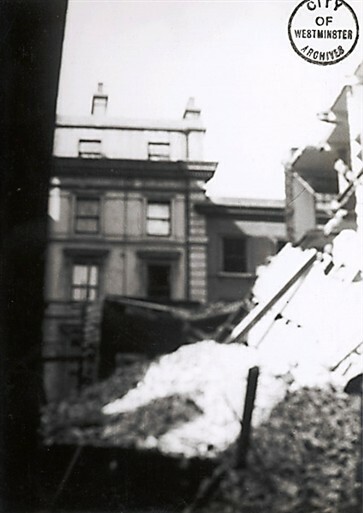 The Paymaster General's Office at No 36 Whitehall (a brown brick Palladian structure built between 1732-33 with 1910 additions) was badly damaged. Two civilians inside were killed. 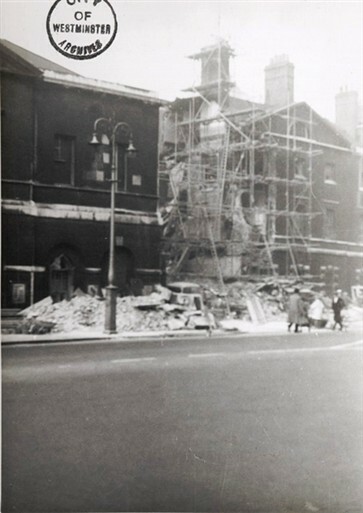 A gap was blown open in the building's left side and its front façade partially collapsed. Bricks and other debris fell onto the pavement along Whitehall. Luckily, the bomb fell before more staff had arrived at their desks. One ambulance was sent out directly to the Paymaster General’s Office and one was sent over from the Charing Cross incident. This page was added by Allison Darhun on 25/04/2015.